In Kansas, small-town charm mixes easily with big-city attractions. Watch the video below and see just how diverse Kansas trips can be! From natural rock wonders and hidden waterfalls to large festivals tucked away in those towns you thought you could just pass through and prohibition style bars that you have to search hard to find. 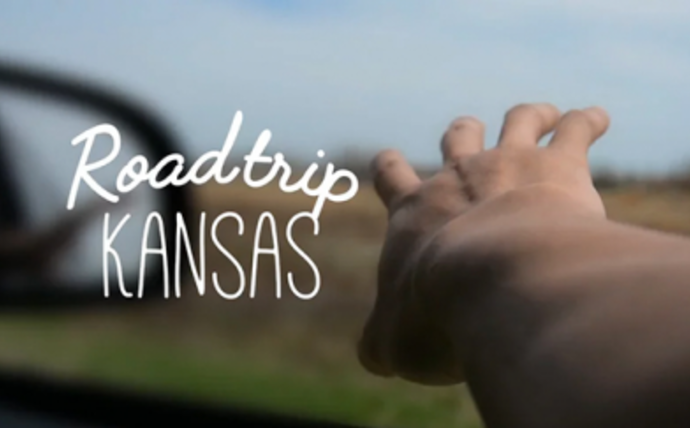 Four friends meet up for an adventure-packed weekend roadtrip across Kansas. Follow along as they explore Kansas and find unique landscapes, hidden waterfalls, one-of-a-kind shops, and delicious Kansas cuisine. Click on the categories below to start planning your Kansas getaway. Whether you long for a relaxing trip along a scenic route or an action-packed adventure, Kansas delivers! Six-year-old presidential expert Macey Hensley tells about Kansas native and U.S. President Dwight D. Eisenhower. Join Macey in Abilene, KS as she explores the extraordinary life and legacy of the only five-star General who became President of the United States. 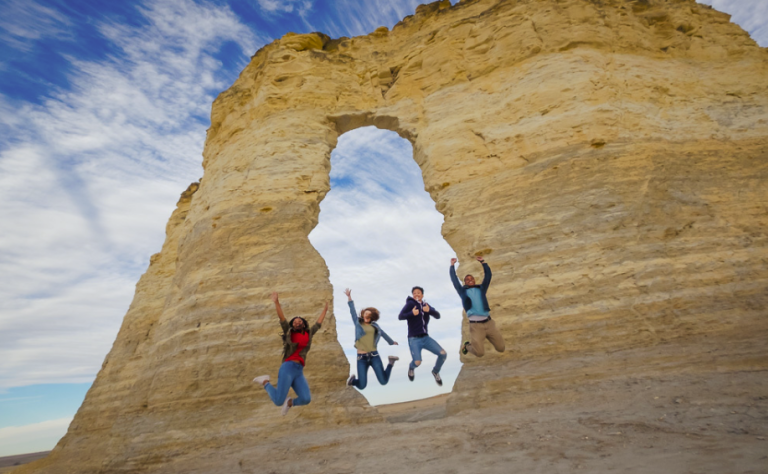 Experience Kansas through the eyes of it's travelers! Go behind the scenes of working Kansas farms and ranches, explore the wonders of nature. Relive the Wild West in Kansas' colorful cattle towns bustling with stagecoaches, shootouts and ice-cold sarsaparilla. View the iconic bison that still roam to exotic species in zoos and wild animal parks. Kansas' natural wonders will amaze you! Be sure to visit Dorothy's house and experience the Land of Oz! 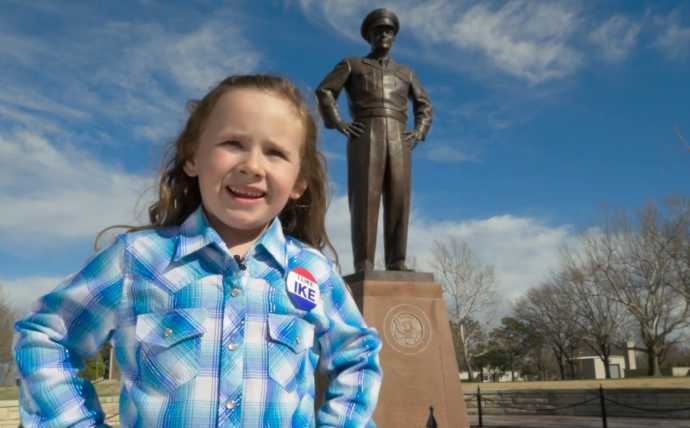 You won’t be able to leave without saying, “I like Ike!” Who more fitting than six-year-old presidential expert Macey Hensley to tell you about Kansas native and U.S. President Dwight D. Eisenhower? Join Macey in Abilene, KS as she explores the extraordinary life and legacy of the only five-star General who became President of the United States. With artifacts including Ike’s clothing, vehicles and campaign buttons, Dwight D. Eisenhower Presidential Library, Museum and Boyhood Home is just one of the many attractions to put on your family getaway itinerary.